Mozilla, the makers of Firefox, has launched an experimental pilot project called Mozilla Location Services, which aims to freely provide geolocation data of publicly observable cell towers and Wi-Fi access points. And it’s also come out with an app to make collecting this data into a social game. While there are already commercial players who provide such geolocation data, Mozilla wants to fill the gap of a large public service for this information. The company says that by mapping this data, devices without GPS or those with weaker GPS chips will still be able to find their approximate current position by relying on the location data of cell towers and access points around them. For more details about the tech, here’s how GPS works How GPS Works [MakeUseOf Explains] How GPS Works [MakeUseOf Explains] As an avid gamer, I’m surprised by the correlation between GPS-like features in modern video games and the proliferation of GPS technology in mundane life. When I was a kid, paper maps and cartography were... Read More . Of course, this throws up privacy concerns, but Mozilla is trying to stay clean. “Even though the underlying data is based on publicly accessible signals, geolocation data is by its very nature personal and privacy sensitive. Mozilla is committed to improving the privacy aspects for all participants of this service offering,” it said in a blog post. 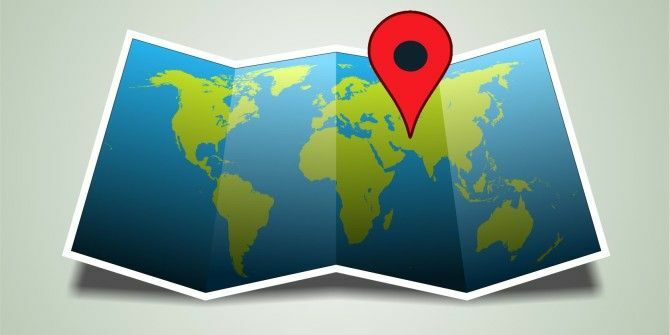 If you want to find out how much geolocation data you are broadcasting, Creepy Creepy Shows Just How Much Geolocation Data You Broadcast Online Creepy Shows Just How Much Geolocation Data You Broadcast Online Enter someone’s Twitter or Flickr usernames and see everywhere they’ve been and when. If this sounds creepy then it is. Ever wonder how much information geolocation leaves behind? As it turns out, quite a lot.... Read More is a good app to do this with. A project of this massive scale will naturally rely on public input, and so Mozilla has released an app called Moz Stumbler that gamifies the process of gathering the data. Currently available as an APK, you need to download and install it on your Android or Firefox OS device which has an active GPS connection. Activate Moz Stumbler and start walking around for it to record the geolocation data from public access points. When you are done, hit the Stop button to upload all the data you collected. Users can earn points based on their uploads and compete on a global leaderboard to see who is capturing the most data. Will you sign up to help capture the geolocation data? Why/why not? Explore more about: Geotagging, Mozilla, Wi-Fi.